Have you used digital labels in our exhibitions? We use them to tell stories about our objects on screens, instead of just text on walls. 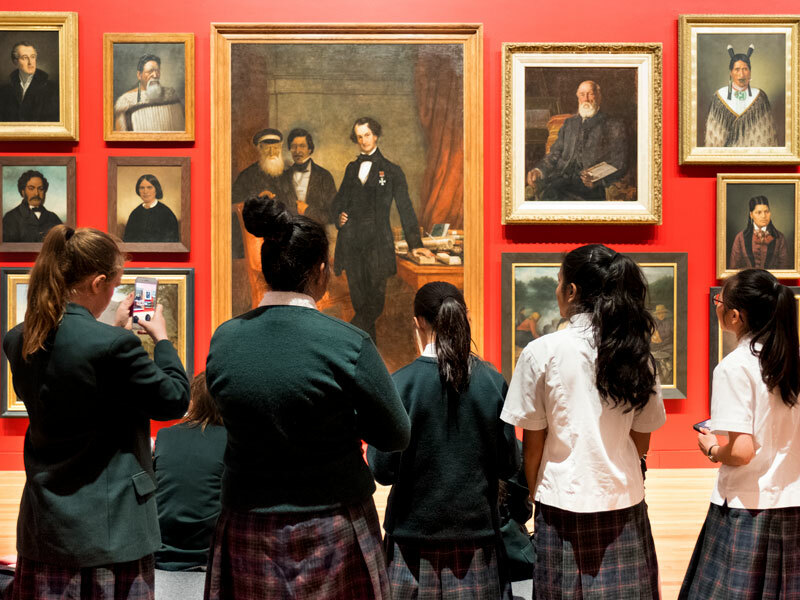 This may sound unusual, but we’re able to see how you interacted with them, and use this data to improve our labels for future exhibitions – giving you the best experience possible. Our User Experience team Karyn Brice and Kate Wanless share what they’ve learnt over the last year, and how these insights have helped create our most successful digital label ever. Museums use labels to describe objects or areas within a museum. In situations where there are many objects on display, the volume of information required to give context or a story can result in large quantities of information on the wall – which can look a bit overwhelming and dull. One solution is to present this information via a digital platform. This reduces visual overload and can give a more engaging experience. 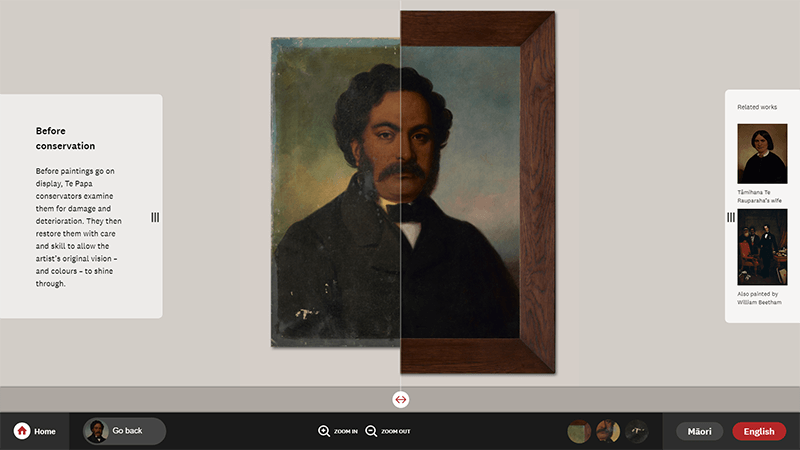 Based on what we’ve learnt from metrics and audience behaviour, our digital labels have changed and evolved over three recent exhibitions: Bug Lab, Ko Rongowhakaata: The Story of Light and Shadow, and the portrait wall in Toi Art. Bug Lab was the first time we produced a full set of digital labels for an exhibition as the main source of information about objects and specimens on display. These digital labels used ‘natural mapping’, which means what you see in the exhibition’s physical display (size, scale, and placement of the objects) is replicated on screen. This is great for visitors, as it’s intuitive and needs no instruction. However, once the exhibition opened we saw that the larger insects got the most clicks, and the smallest insects got the least clicks. Unless an insect was bright and colourful, visitor clicks were in proportion to the physical size of the bug on the screen. 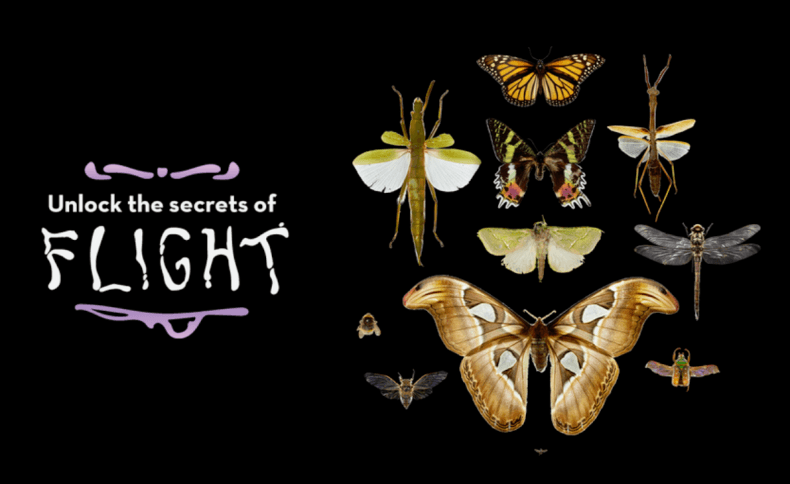 So for instance, barely anyone clicked on that little bee under the giant Atlas moth – and while less visually obvious, its story is just as interesting. We learnt we needed a better solution to get these stories in front of our visitors. 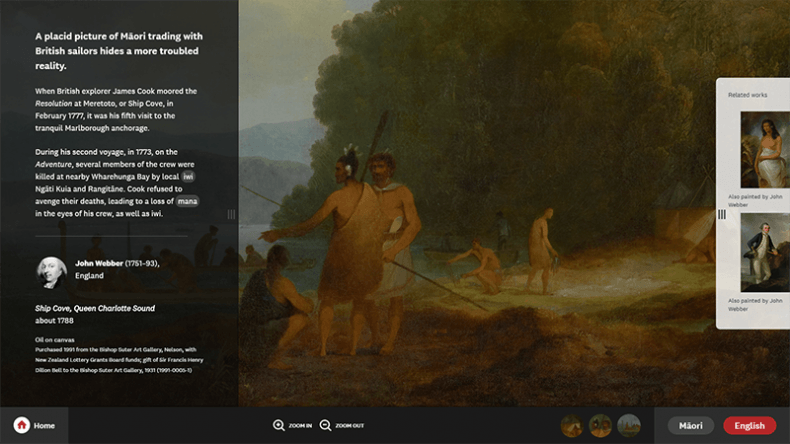 We made eight digital labels for our latest iwi exhibition, exploring the land, people and stories of Rongowhakaata. Through observations, we saw that many people would look at the digital label screen but not interact with it. This made us think about how we could give a visitor a great digital experience without them having to interact with the screen. This challenge became a guiding objective for the portrait wall iteration of the digital labels. The Rongowhakaata digital labels also taught us that regardless of the amount of content, the time people spent at a digital label remained at around two minutes. Even digital labels with up to 20 minutes of content would only engage visitors for two minutes. If we expect visitors to spend longer engaging with content, we need to take their physical comfort into consideration, providing somewhere to sit or rest. The new portrait wall digital label sits within the new Toi Art gallery where paintings are in an array without individual labels. The digital labels offer stories and insights into the works that are otherwise not obvious to the viewer. 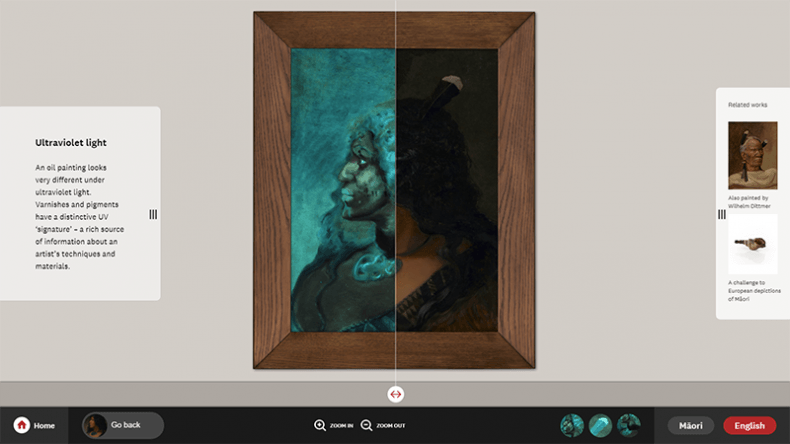 This rich storytelling layer really helps to bring the artworks to life in a way that physical labels can’t. Natural mapping was used on the main menu screen to replicate the portraits on the wall. Based on our Bug Lab observations we knew we needed to ensure the design highlighted smaller and less obvious artworks so that they wouldn’t be overlooked. To do this we created an animated loop which highlights individual, and groups of portraits, and presents a brief one-line story about them. We hope that people will be curious enough about these stories to select the relevant portrait. It also gives the opportunity to deliver a story to visitors who want to look without touching the screen. 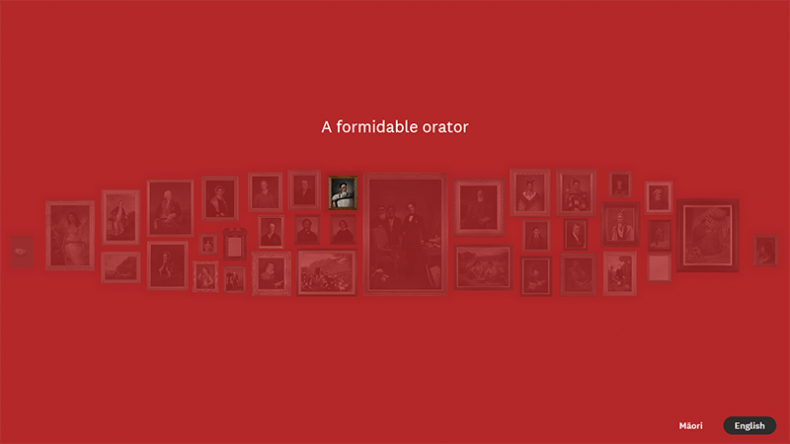 Once a portrait has been selected, visitors can find their own way through the content. Key information is shown up front to get straight to the point, and then ‘deeper’ content is offered. Visitors are able to pick and choose what they’re interested in. We were able to add other features to the label to leverage what digital does well. For example, you can zoom in to see details of the portraits, flip a painting to see the reverse, spin an object around, and see invisible layers with the use of specialist imaging techniques. People are engaging with the portrait wall digital labels for much longer than we expected. Some visitors are spending up to 20 minutes deeply absorbed in the stories. 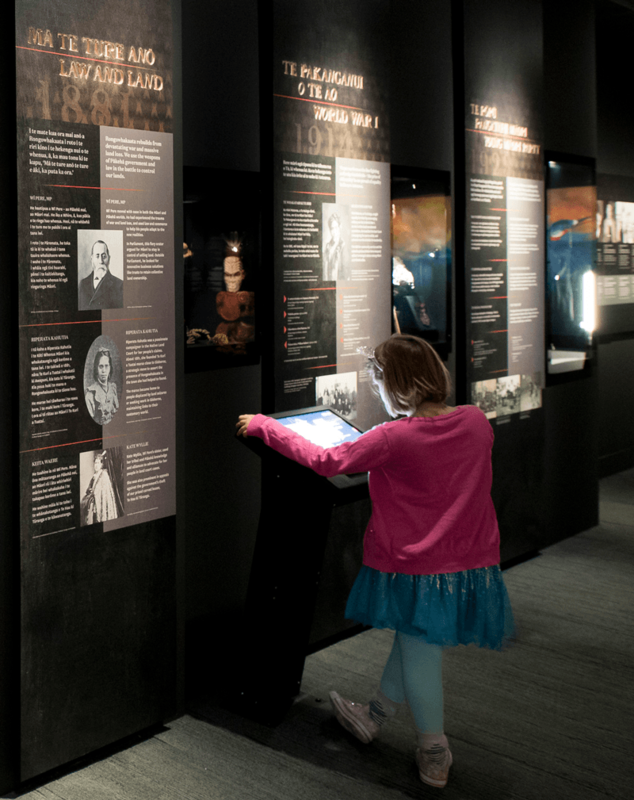 Visitors independently work their way through much of the content and explore it via the different pathways offered. Seating provided in the space gives visitors the opportunity to sit while they are exploring the labels, also ensuring greater accessibility for those with mobility issues. Often people also select the printed material and have a closer look at the paintings, so we know that offering different forms of interpretation provides for a range of visitor preferences. We will continue to observe visitor experience of the current digital labels, and take these insights into future labels, reusing the patterns and visual language to keep the visitor experience consistent across all the interactive experiences throughout Te Papa – watch this space! insight into people’s behaviour & engagement. I would love to know a bit about the work behind it as this is exactly the sort of collaboration we foster in the Media Arts institution i work in ( design, comms/storytelling, moving image, contemporary art, photography etc) & we love to work with experts! This kind of hanging has been done elsewhere: did you look at these instances and see how the labelling had been managed there? Hi Pamela, great point – there are other instances elsewhere. I was fortunate to view the stunning Smiths Gallery in Toitū Otago Settlers Museum. The Smiths Gallery digital labels are similar in the way they use natural mapping to aid intuitive navigation, and provide more portrait information than is available on the wall. 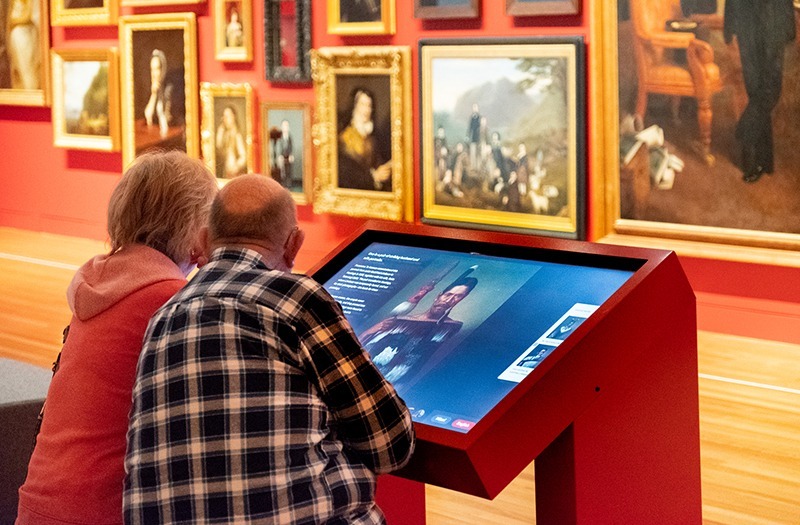 I was able to interact with the large touch screens, and understand the impact of the size and the placement of the components and buttons, and how this supported the visitor to explore the details of the portraits. I also observed similar visitor behaviour by both individuals and small groups, who were ‘slow looking’, and seemed deeply engaged in the exhibition content. There also seemed to be a preference for sitting rather than standing to interact with the digital labels. Great to see how a close examination of previous visitor experiences has led to richer and deeper engagement. Nice work! This is a really interesting insight into how these digital labels have been developed, thanks! I’m fortunate to live very near Te Papa and I have to say I just keep going back to the new gallery and portrait wall over and over as there is still more to see, more to explore. It’s superb so thank you very much!